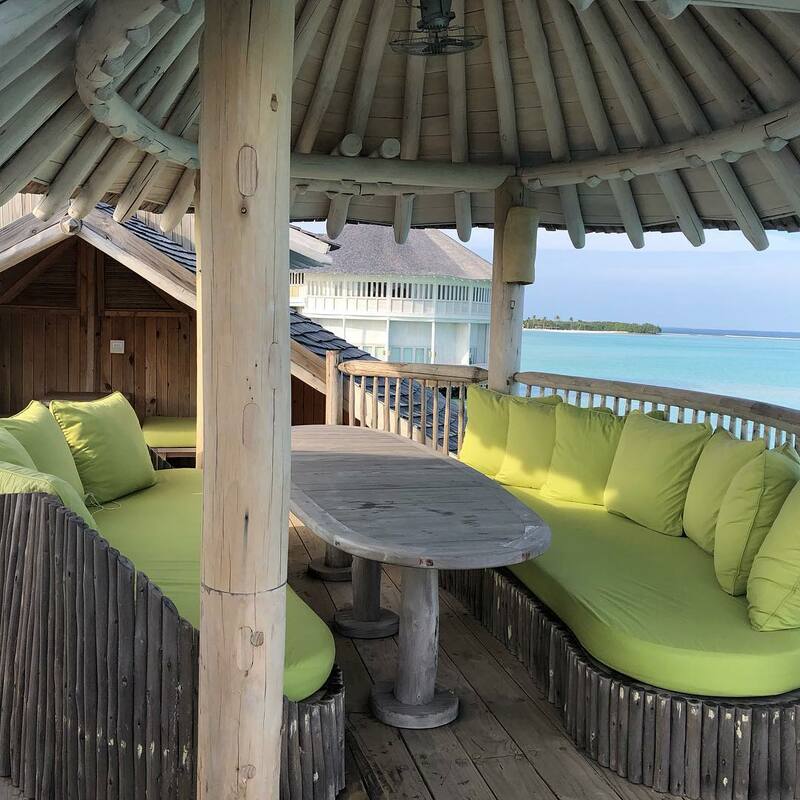 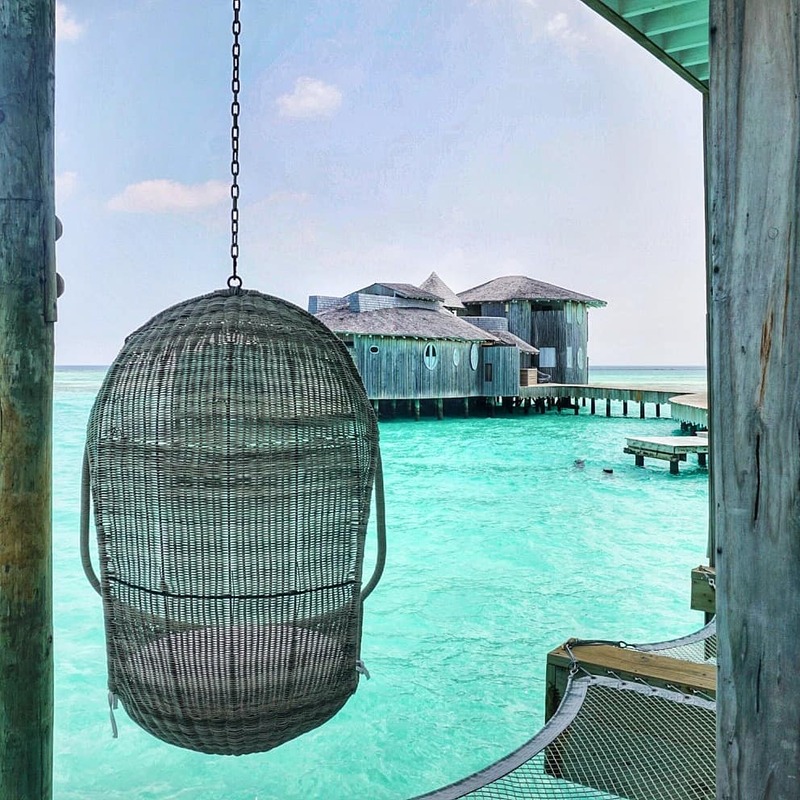 Soneva Jani, A collection of Water and Island Villas in the crystal clear waters of the Noonu Atoll, fringed by pristine beaches and blanketed in lush tropical greenery. 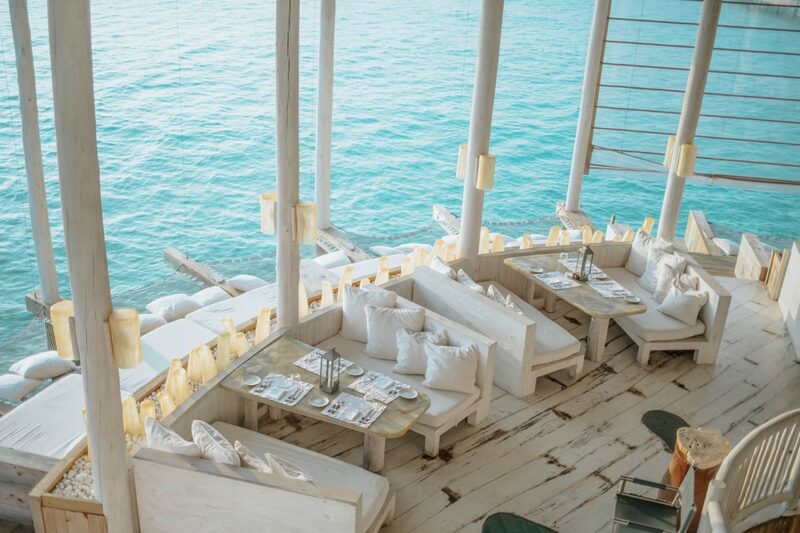 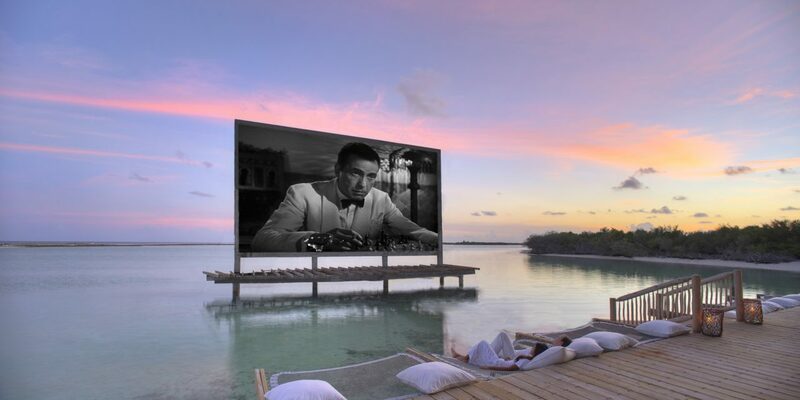 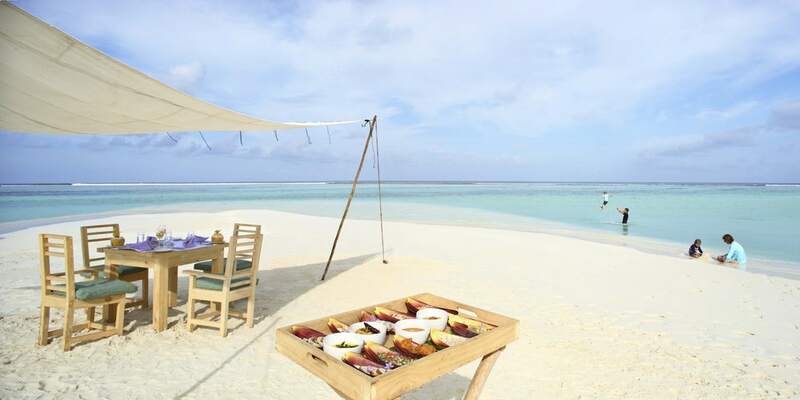 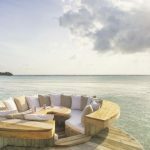 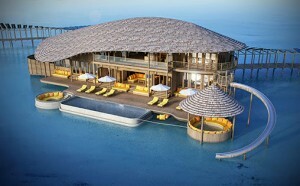 Soneva Jani is located on the island of Medhufaru, located in the Maldives’ Noonu Atoll. 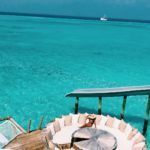 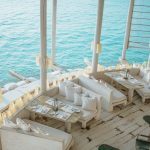 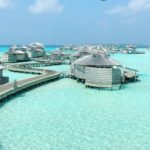 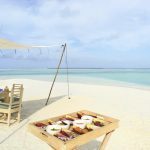 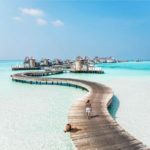 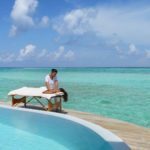 One of the largest islands in the Maldives and highly accessible, Medhufaru is only 30 minutes by seaplane from Ibrahim Nasir International Airport (Hulhulé – Malé) and one hour by speedboat from Soneva Fushi. 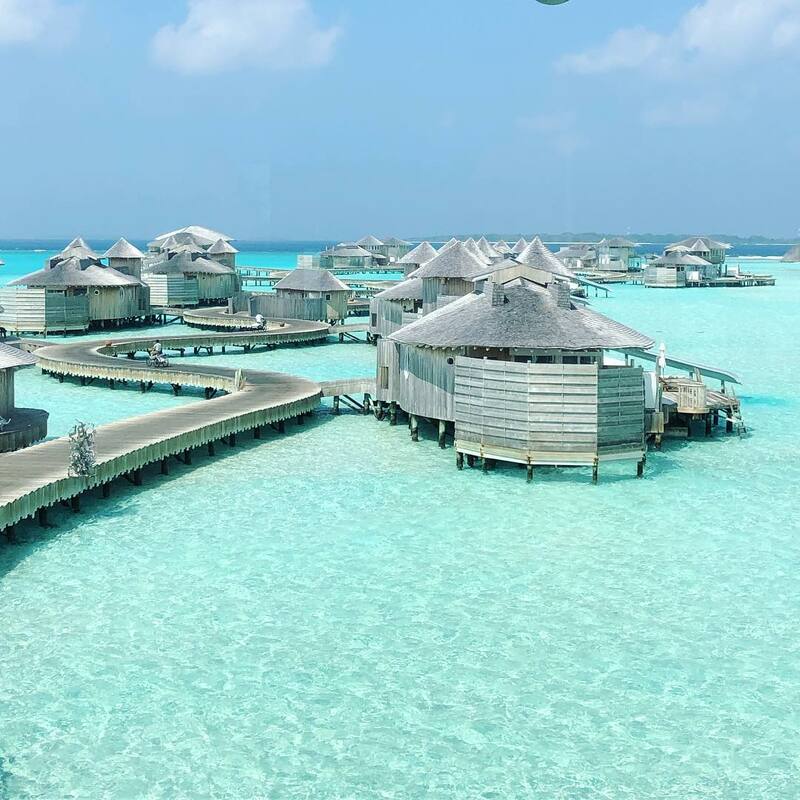 Arriving by private seaplane from the Ibrahim Nasir International Airport in Malé, you glimpse the string-of-pearl islands – the breathtaking rings of islands that make up the Maldives – their gleaming ivory sands contrasting with the turquoise blue waters of the Indian Ocean. 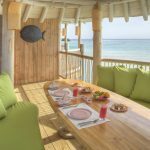 Each villa comes with a Mr/Mrs Friday personal butler and full access to all the island’s facilities with special owners rates offered in the restaurant and bar. 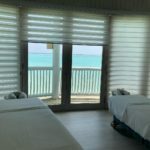 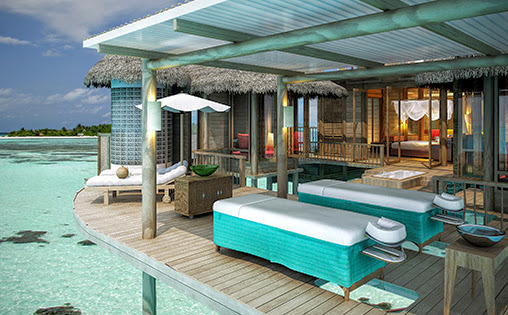 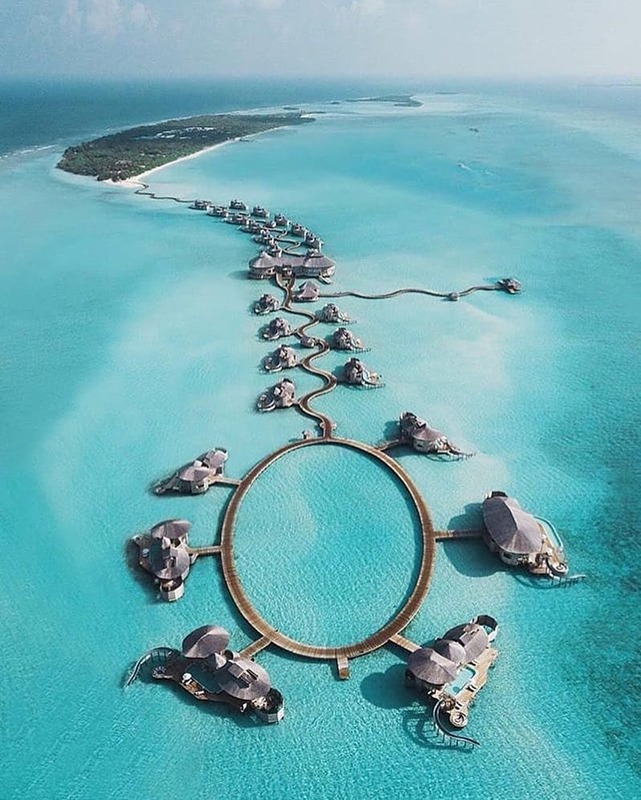 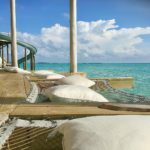 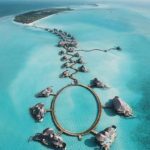 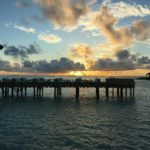 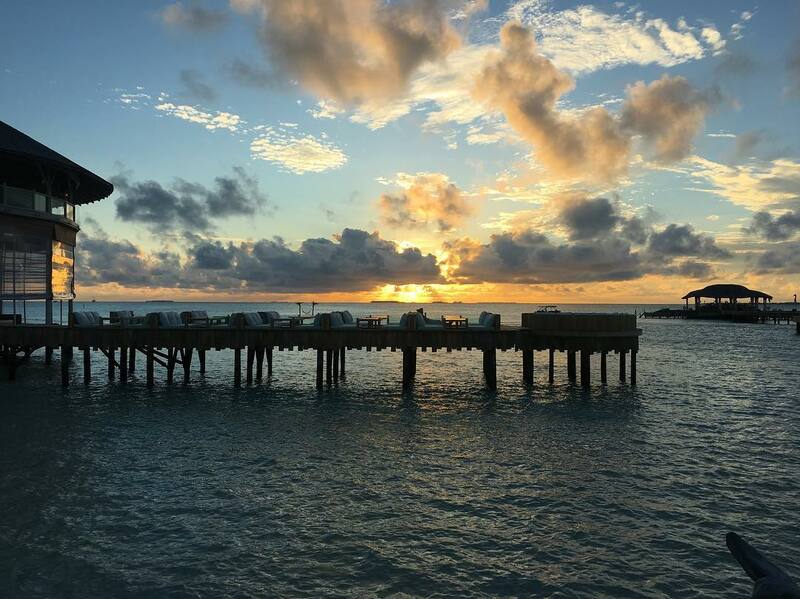 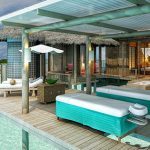 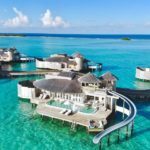 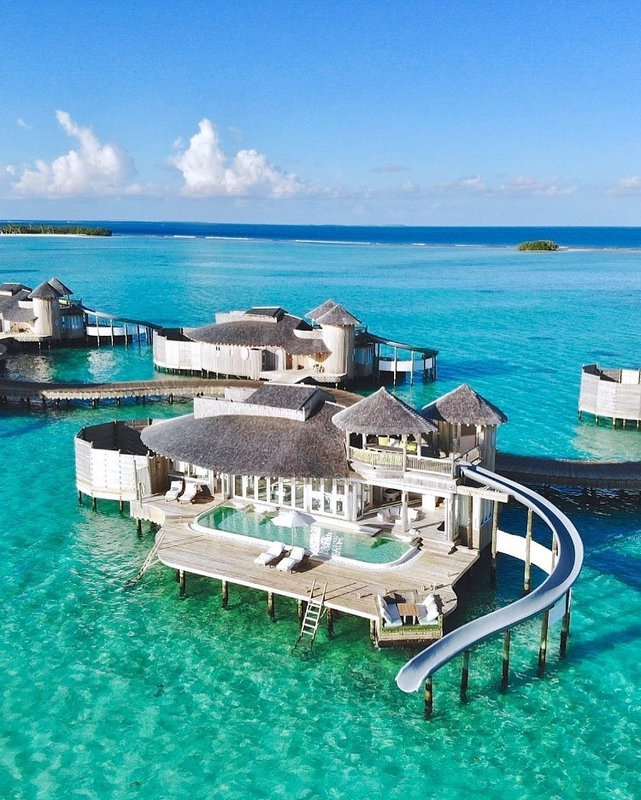 The overwater villas all feature a retractable sliding roof from the master bedroom to stargaze at night and uninterrupted ocean views in all directions. 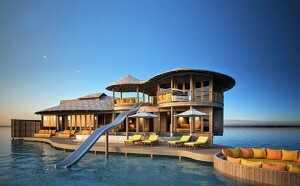 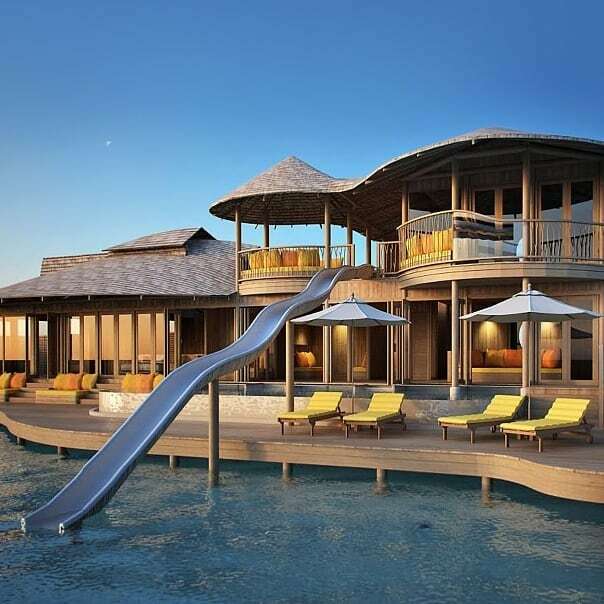 Many of them also include waterslides from the top deck directly into the lagoon below. 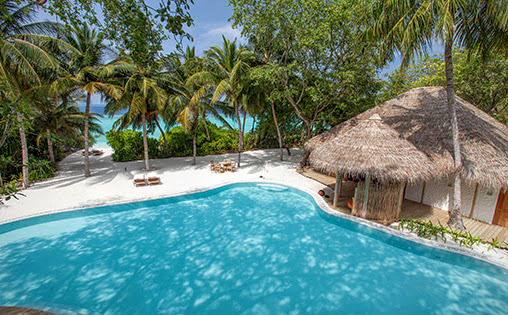 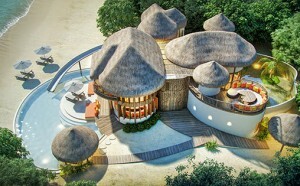 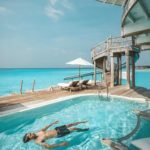 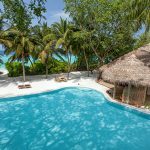 Soneva Jani is the lowest density development in the Maldives. 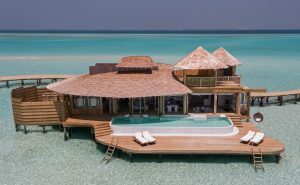 The main guest facilities are located at The Gathering, the heart of the overwater villas. 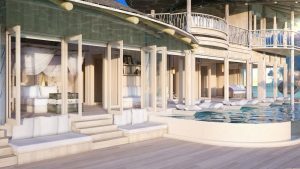 The dramatic three-story structure is home to the main dining outlets, in addition to the Den, Observatory, Clubhouse, Beach Restaurant, Watersports and Dive Centre, Spa, Boutique & Gallery, Library and the Main Bar. 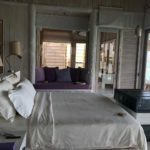 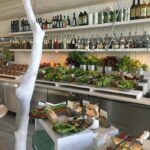 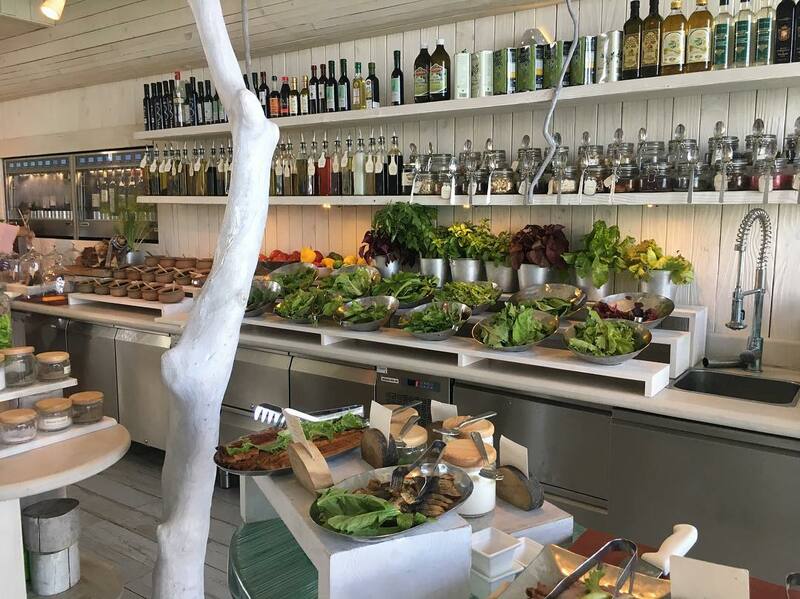 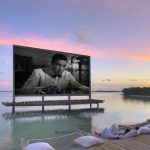 Facilities on the island include a silent outdoor, overwater cinema, an Eco Centro waste to wealth centre, organic gardens and tennis courts. 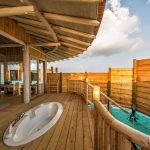 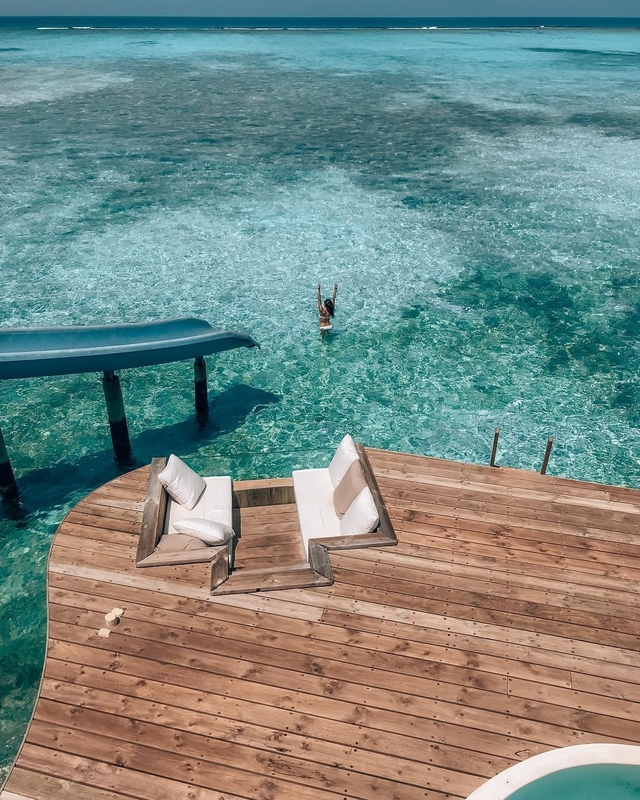 Spread across two floors, the Soneva Jani One Bedroom Water Retreat comes with its own private pool surrounded by ample area for sunbathing and taking in ocean vistas. 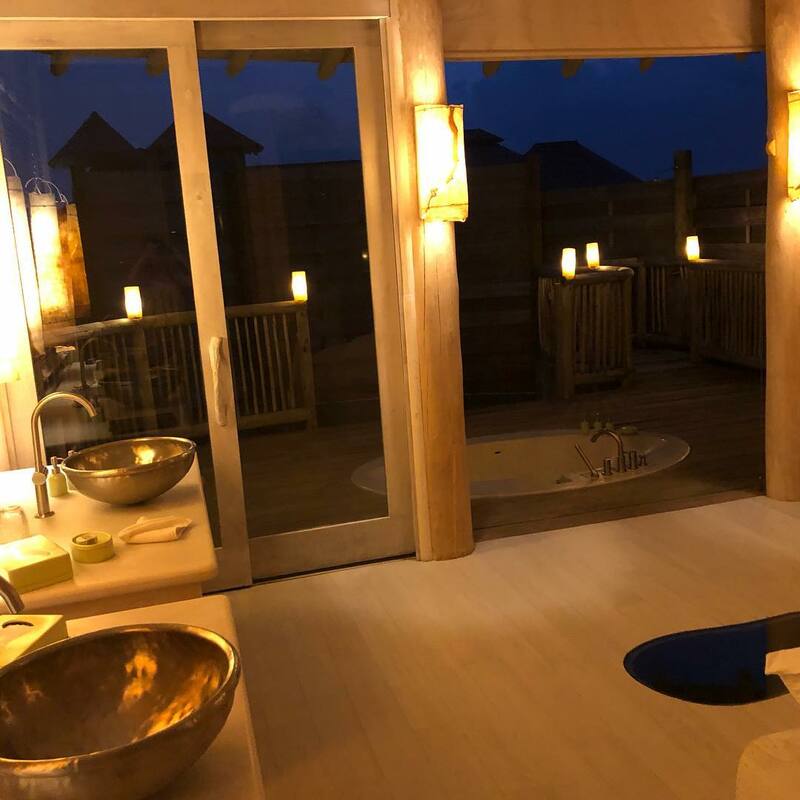 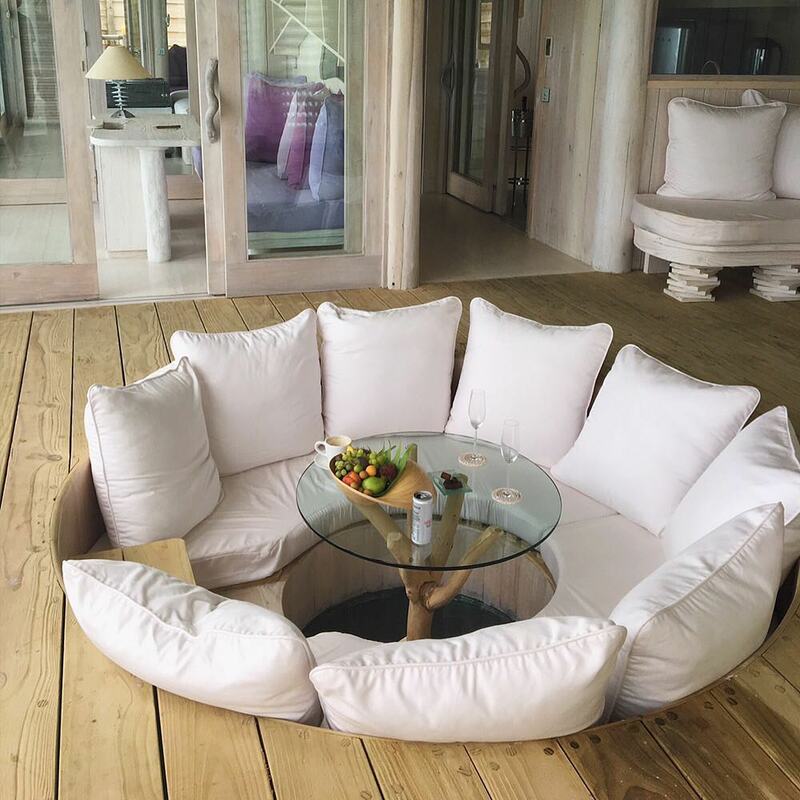 In addition to a childrens’ sleeping area, there is also a study, walk-in minibar, bathroom, dressing room, outdoor shower, and living area with sunken seats, perfect for lounging. 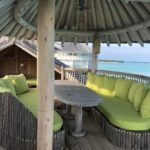 Head upstairs for more seating and a dining sala with roof deck. 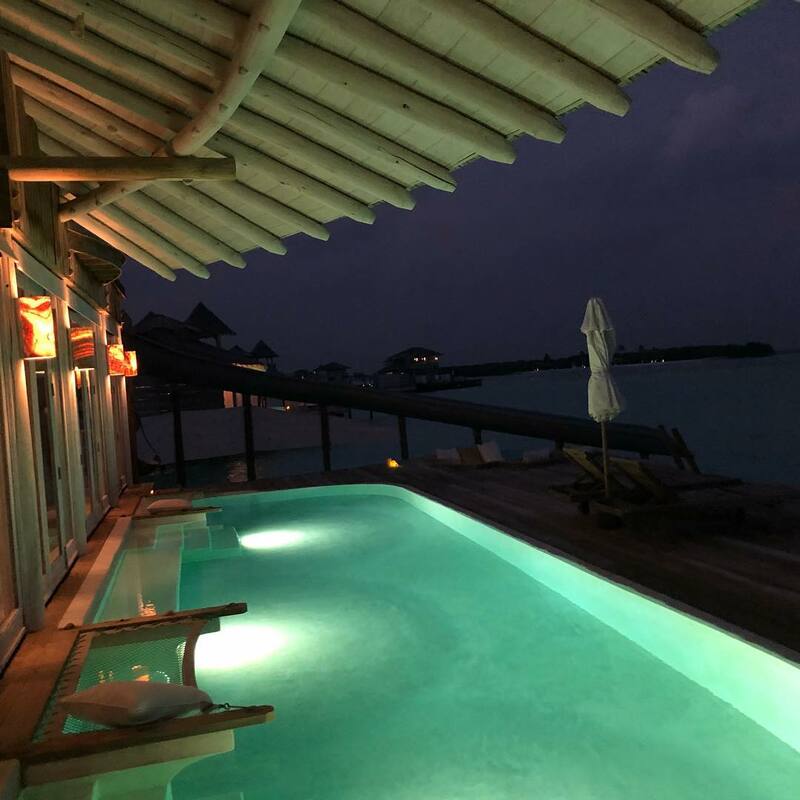 Watch the stars from the comfort of the master bedroom with the villa’s retractable roof. 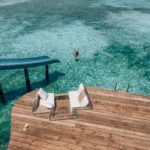 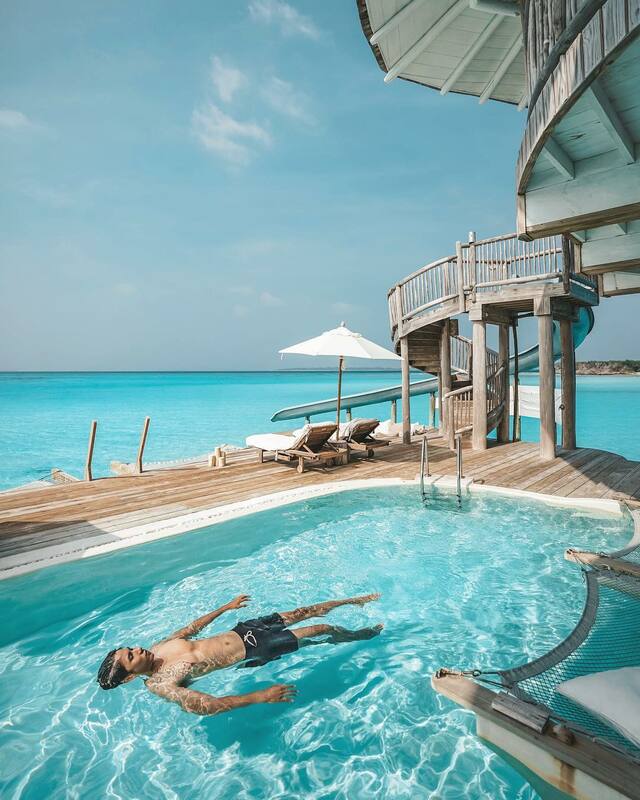 With a pool, catamaran net, sunken seats, and daybed, the Soneva Jani 2 Bedroom Water Retreat affords a wealth of tropical lounging opportunities. 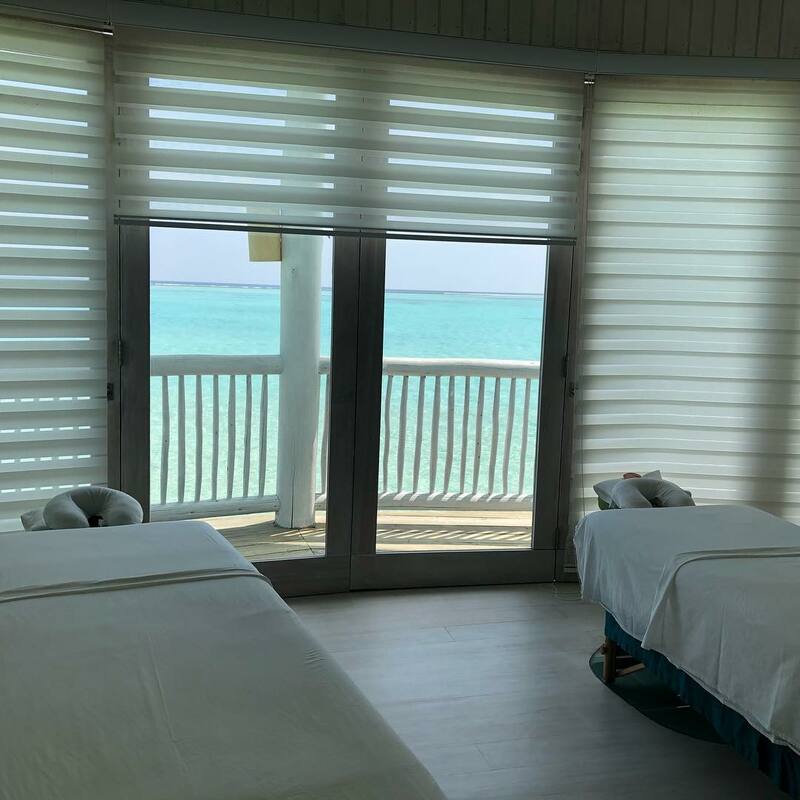 The first floor offers a spacious bedroom with retractable roof, bathroom, dressing room, outdoor shower, walk-in minibar, TV lounge, and children’s’ sleeping area. 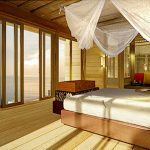 The second bedroom is located on the upper floor, along with an additional dressing room, bathroom, seating area, and dining sala with roof deck. 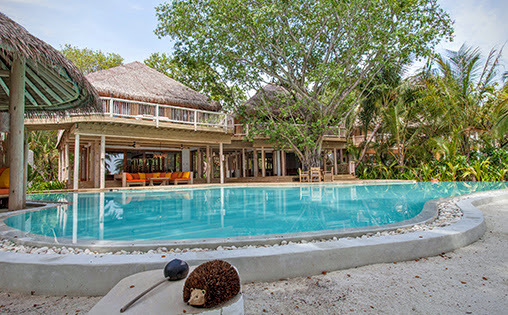 Choose from the tropical sun or the cool shade with two outdoor sunken seating areas, one protected with a roof. 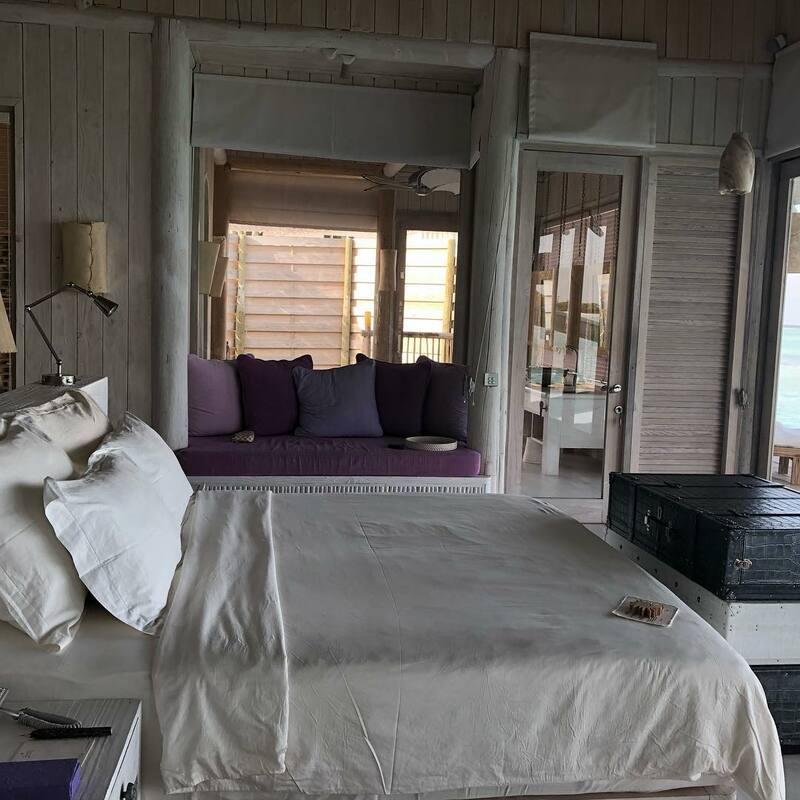 The lower floor offers a master bedroom with retractable roof, study, bathroom, pool and catamaran net, outdoor shower and daybed, walk-in minibar and a sleeping area for the children and an en-suite guest bedroom. 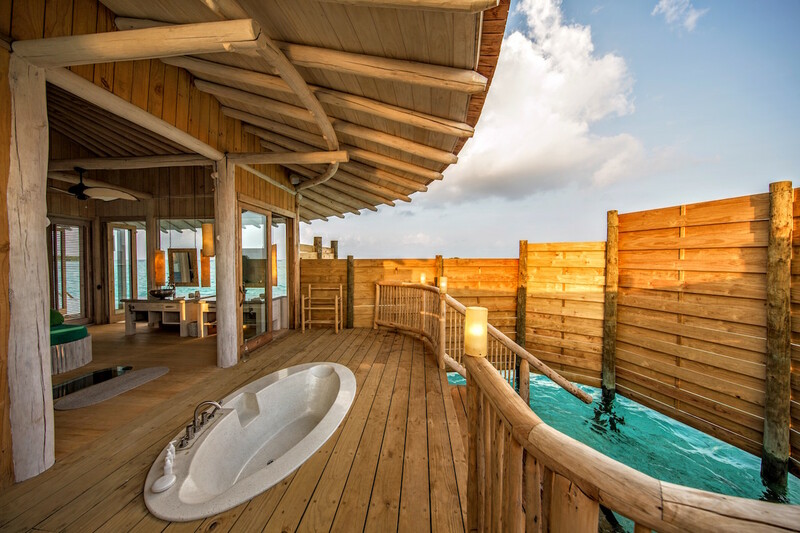 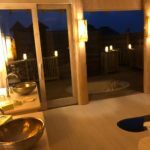 Venture to the second floor for one more bedroom, a bathroom, dressing room, seating area, dining sala with roof deck, water slide and lagoon vistas. This our idea of what overwater living should be, with a huge 1,226 square meters of luxurious living space and uninhibited views in every direction. 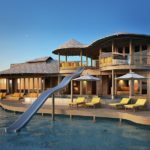 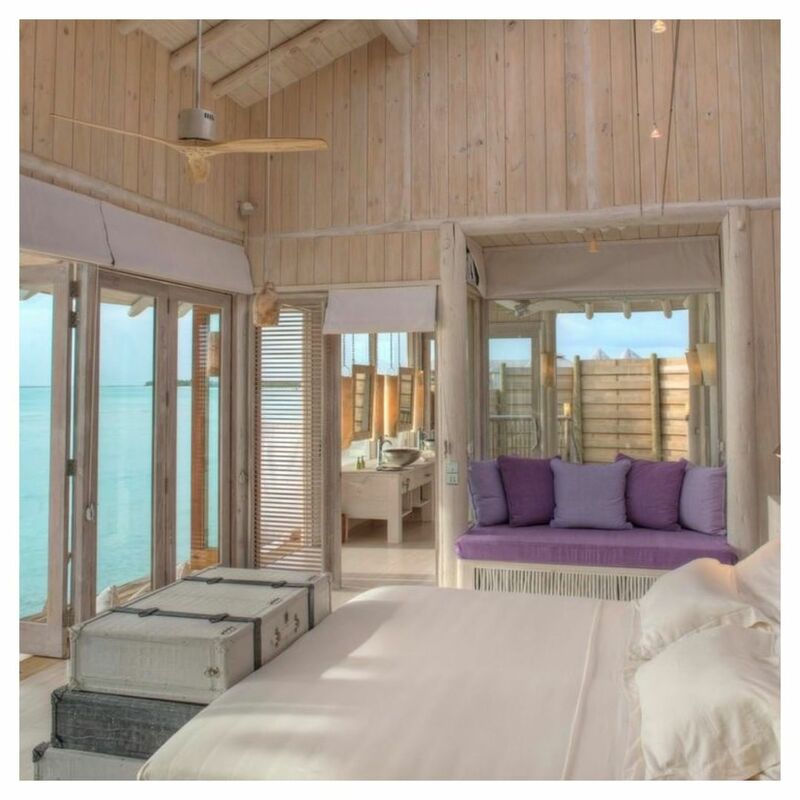 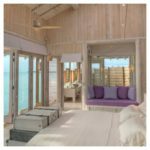 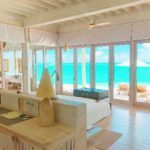 This huge villa features three private bedrooms, in addition to a study, gym, an outdoor shower and daybed, TV lounge, walk-in minibar and a sleeping area for the children, as well as a water slide from the top deck into the lagoon below. 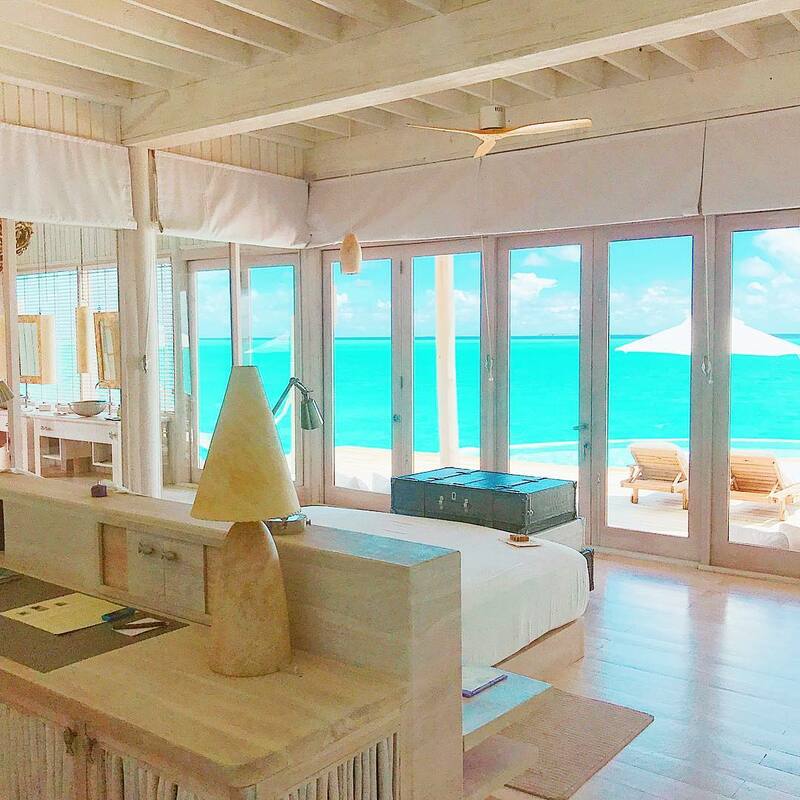 An expansive beachfront suite, the Island Reserve affords a wealth of luxury while allowing for customization depending on your requirements. 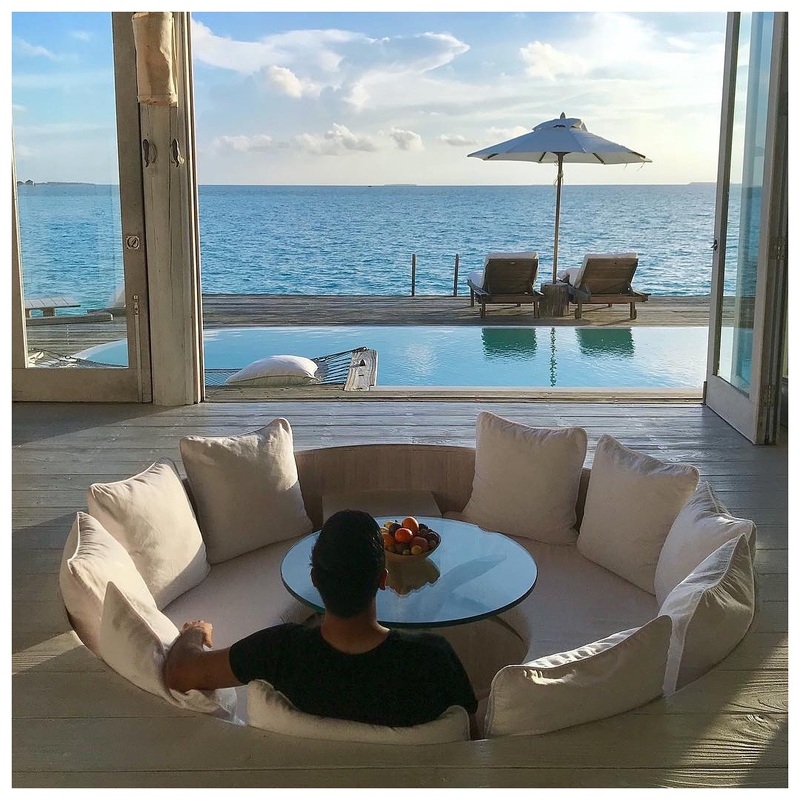 Spacious indoor-outdoor living areas abound, including a steam bath, changing room, sauna, master bedroom, TV lounge, dining room, private pool, kitchen and wine cellar. 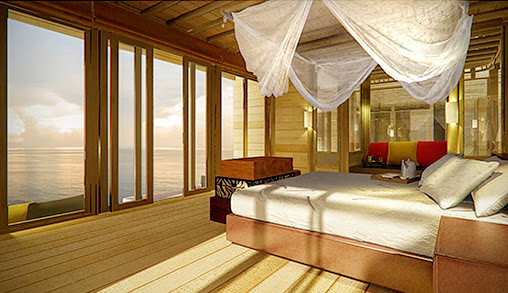 The second floor is home to a further three bedrooms with bathrooms and dressing rooms.